When you have a game that's as big as Clash of Clans, you tend to tread lightly and put all your focus on continuing your game's success. That means you don't waste your time pumping out dozens of new games in the hopes that one sticks. Instead, you stick with what works and focus on making it better. Just a couple of years ago Clash of Clans saw everything from a Superbowl commercial starring Liam Neeson to a massive Fall update (Town Hall 11) and their first ever convention, Clashcon. How do you follow-up such a huge year? By launching the first Clash of Clans spin-off: Clash Royale. 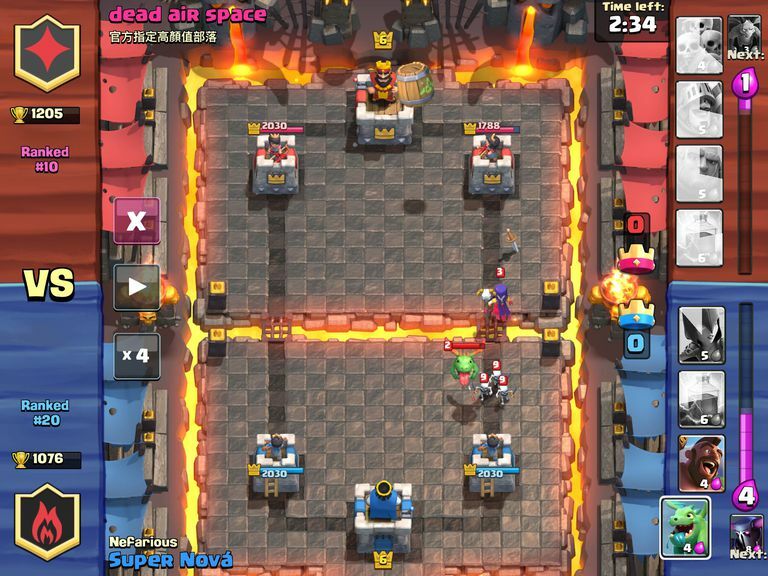 Clash Royale is a new game that brings the theme, style, and characters of Clash of Clans to a different genre. It's still a strategy game, but this time what you'll be playing is something more akin to a MOBA mixed with a collectible card game — but with a single screen approach that moves at a lightning fast pace. The playfield is split into two sides, with each team defending their own castle from the opposing player. Both players will also start with two additional towers that will help to defend their castle should a player fail to muster up the needed troops to launch a proper defense. The game is won when one player destroys the castle of the opposing player, or when the time runs out, which gives the win to the player who has destroyed the most opposing buildings. If things are equal at that time, the clock is extended for "sudden death" play. Should things be even at the end of that, matches end in a draw. Unlike Clash of Clans, where you'll take a set selection of troops into a battle to deploy at will, Clash Royale gives you unlimited troops to use that you can deploy so long as you have enough elixir to spend. Elixir refills quickly, meaning you won't ever have long to wait before sending another squad of archers or goblins into the fray. The troops you'll select from are drawn from a deck of eight cards, but you'll only have access to four randomly-drawn cards at a time. The deck is something you can build between matches, selecting which eight different troops or spells you'd like to bring into battle for your next game. Troops can be placed anywhere in the highlighted area once selected. Initially, this is limited to your side of the playing field, but this will grow as you destroy enemy towers. Spells are deployed like troops, but can be targeted anywhere on the map you'd like — including the enemy's castle. You Said Something About Cards? Troops are represented by cards, and not just for aesthetic reasons. Cards are something we've all come to identify as collectible, as that's their purpose in Clash Royale too. You'll unlock new troops by acquiring new cards — either by opening treasure chests earned by winning battles or by spending currency in the game's shop. Getting new troop or spell cards will make those troops and spells available for play while getting duplicates will allow you to level up your existing troops. The latter seems to be equally as important as (if not more than) the former. Managing your deck of cards, or "deck-building," is kept remarkably simple here. When you want to swap in a new card, just tap it, and then tap the card you want to replace. How Does It Want Me to Spend Money? For every win in Clash Royale, you'll earn a treasure chest. These come in varying shapes and sizes depending on your situation, with shinier chests awarding more cards. Each chest takes a set amount of time to unlock (early in the game, at least, the most common is the silver chest that takes three hours) and must be slotted into an open "chest" slot on your main screen. There are only four chest slots. This means that, after just four wins, you can either wait a few hours for the chests to open, spend premium currency, or continue playing without being able to claim the chests you win in the process. Where Can I Play Clash Royale? If you have an iPhone or iPad, you will be able to download Clash Royale from the App Store now.